Just some random photos I took after Wednesday's storm. 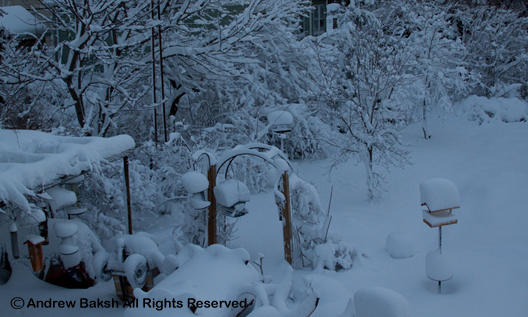 This is what I saw when I looked out into the backyard early yesterday morning! 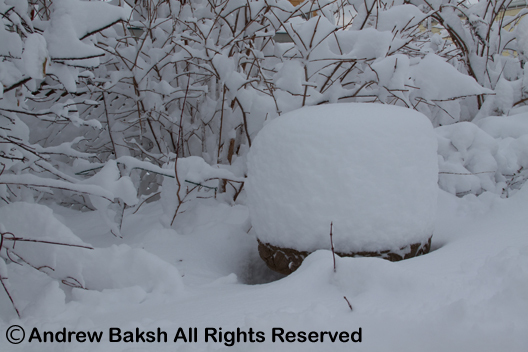 One of the bird baths covered with snow. Gives an idea on how much snow we had! 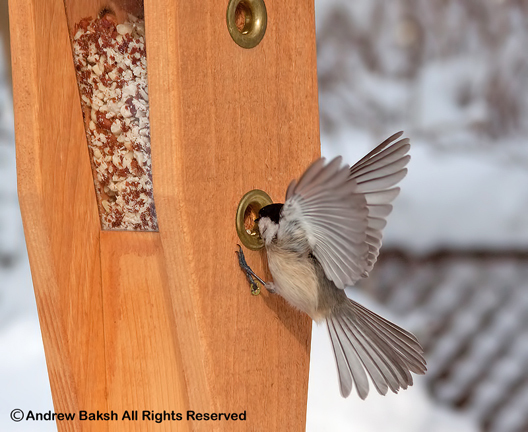 Black-capped Chickadee visiting the peanut feeder. 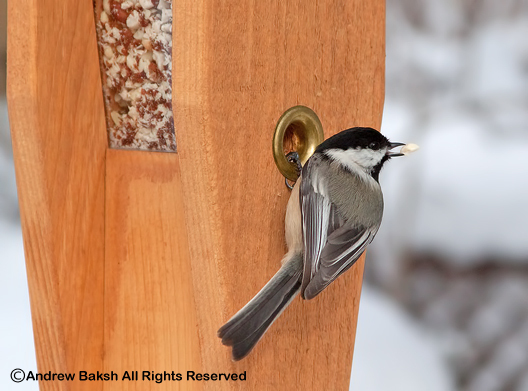 A successful visit by a Black-Capped Chickadee, as it leaves with its prize. 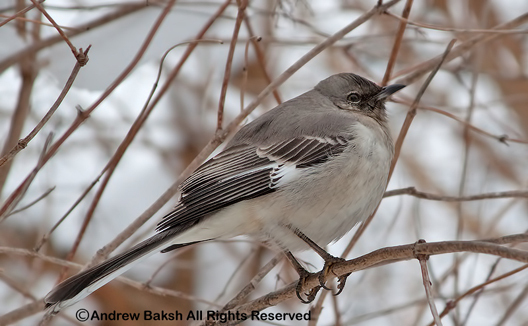 My resident Northern Mockingbird comes in really close to visit when I am re-filling feeders. 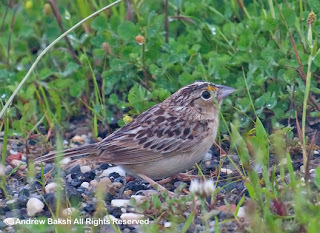 Breeding Grasshopper Sparrow at Calverton Grasslands. 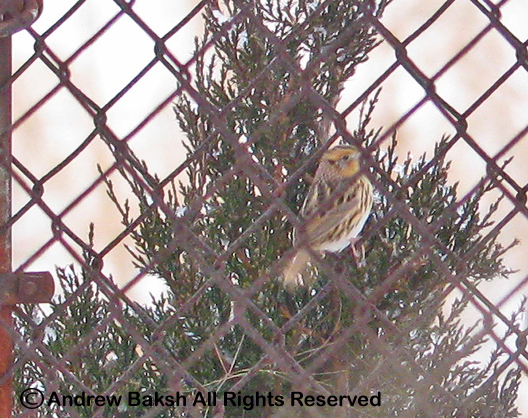 The recent find of the LeConte Sparrow at the Calverton Grasslands prompted me to look into the status of the area. As many of my readers might remember, the area was considered for an indoor ski mountain that would undoubtedly have destroyed what is considered Long Island’s best remaining grassland habitat. 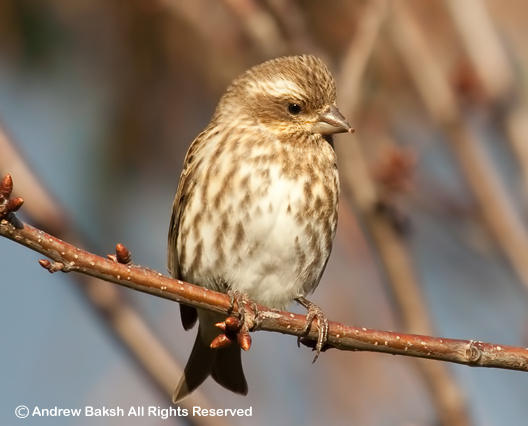 The development was opposed by many, especially Long Island birders who were concerned about the environment and the welfare of wintering Short-eared Owls and breeding Grasshopper Sparrows. It took some digging around, but I finally got some information from Jennifer Skillbred from the Group for the East End. According to Jennifer, "the development projects proposed at EPCAL, both the somewhat smaller proposed industrial development and the massive resort and man-made lake project have been cancelled at this point. However, this does not mean that the battle to protect the Calverton Grasslands has ended. The Riverhead Town Supervisor and town board have decided to create a new reuse plan for the EPCAL site, which we feel is a great first step. It is also one that we are working to stay involved in. As this planning process begins to move forward, we will certainly be in communication with the hired consultants as well as the town board and the DEC, and will be reaching out to all who are concerned about the protection of this rare habitat. Hopefully with the help of all these people this re-development plan will clearly take into account the importance of this grassland habitat and the wildlife it supports, so any proposed development in the future will be more compatible with the natural resources present. Also, the DEC recently released the regulations for managing state-endangered species which is an important step in enforcing protection of the Short-Eared Owls and others at EPCAL". So there you have it, proving that we must continue to monitor and stay in touch with all of the negotiations and proceedings involving the Calverton Grasslands. Birders, Photographers and all nature lovers please visit the the EPCAL Coalition website to keep in touch with all of the developments and find out how you could assist. 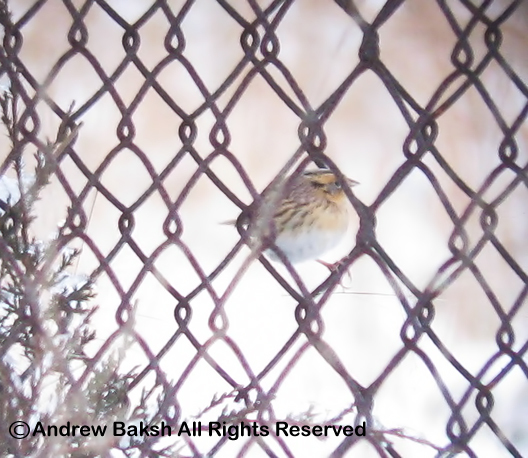 I would like to thank Harry Mass, of New York City Audubon for his encouragement during my quest to look into the status of the Calverton Grasslands and Jennifer Skillbred, from the Group for the East End who was very helpful in providing a status update. In recent days the internet has been abuzz. No, it was not about Apple's marriage with Verizon re: the iPhone. This was bigger and better. 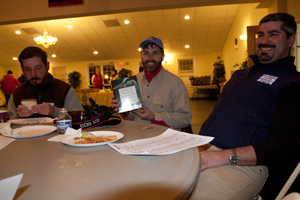 Rumors were running rampant that last year’s Essex County winners in the Massachusetts Super Bowl of Birding might be back. Well, I am pleased to announce that the rumors are true. 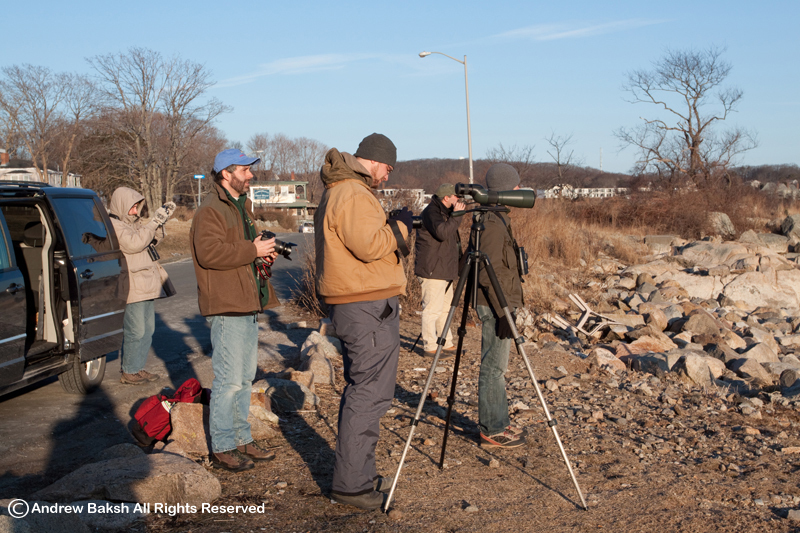 Those rambunctious, energetic, affable bunch of birders, the Bloggerhead Kingbirds you are all so fond of are heading back to the Superbowl of Birding, which is all happening this weekend in Massachusetts!!! Okay, so maybe I am exaggerating just...a tiny bit on the popularity of these birders, but...you will be rooting for us...right? 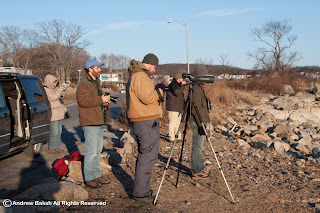 A quick summary on the event - The Superbowl of Birding is an annual competition, similar to New Jersey's World Series of Birding, but with a few important differences. The main differences are that it takes place in New England in the heart of winter and is only a 12 hour competition, starting at 5am and going until 5pm. Visit the link to learn more. This year's team remain intact from last year and is comprised of the following individuals, Mike Powers, Corey Finger, Nathan Swick, John Beetham, Christopher Ciccone and I . They are all fantastic birders and bloggers (not sure how I managed to make the group) and I am very humbled to be invited back to make another run at the championship. You will notice that I did not link to each of their blogs. Why? 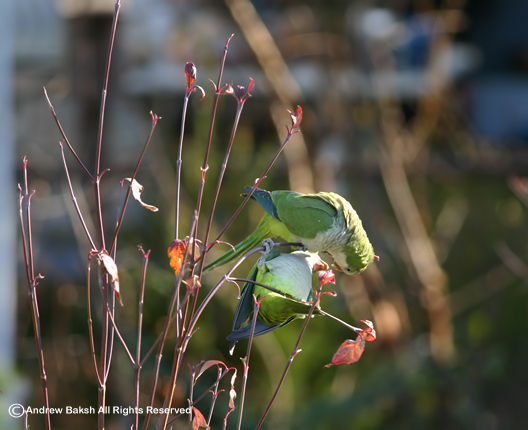 Well, we are doing this introduction thing, where you will have to cycle through each of their blogs to learn more about them starting with my fellow Bloggerhead Kingbird, our fearless leader and captain of the Bloggerhead Kingbirds. Christopher Ciccone from Picus Blog. A gregarious, positive, energy filled birder who started the team in 2009. Even though I have not spent a lot of time with Christopher in the field, my first impression was a positive one as I observed him rescuing a birder who was faltering in the mud on the East Pond at Jamaica Bay NY. The next time I saw him was during last year's Super Bowl. 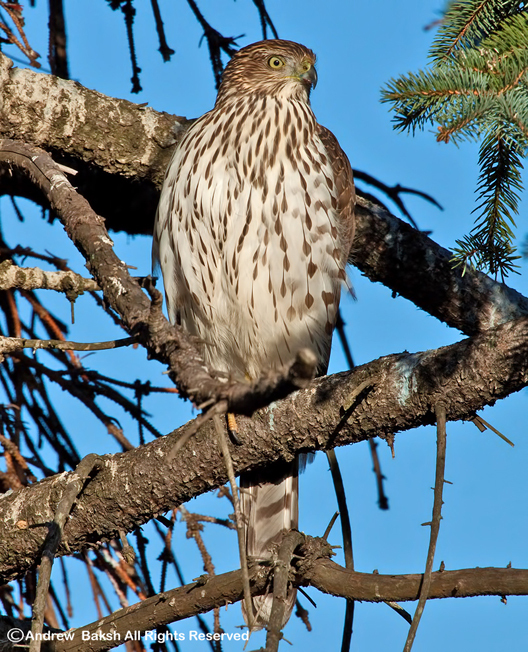 While Christopher's birding revolves around New England, he also travels for birds and shares his photography with his readers on his blog and on Facebook. So if you want to look at some excellent photography from New England and beyond, head over to Picus Blog. If you visit his blog, you will also meet another member of the team as Christopher will be introducing Corey Finger. 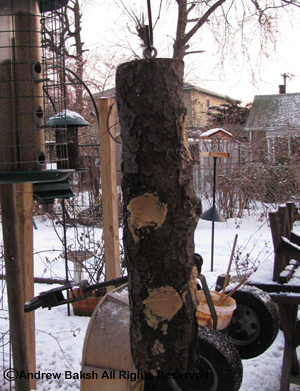 Oh and here is another tidbit about Christopher, he is a fanatic about Woodpeckers. But then you knew that...given the name of his blog...right? Check back for more on the Bloggerhead Kingbirds as we gear up for competition day!! Crossbills - how sweet it was!!!!! 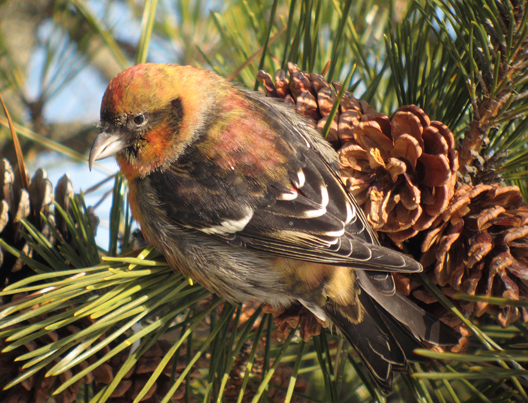 If there were birds that proved elusive for me the last two years, it had to be both Crossbills. 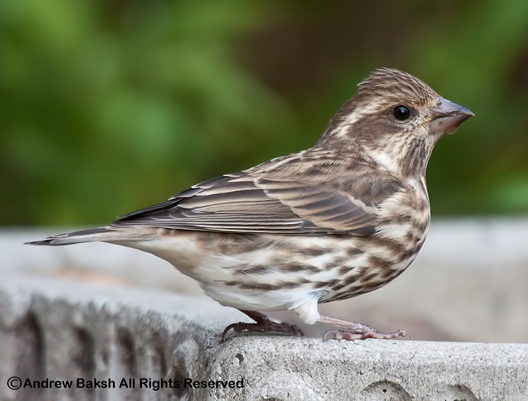 A species tied to an irruptive year, I dipped on several chases in 2009 and last year did not prove lucky for me either. I must note that all my chases were in NY. This year, I decided to expand my search and monitored reports in the Tri-state area. 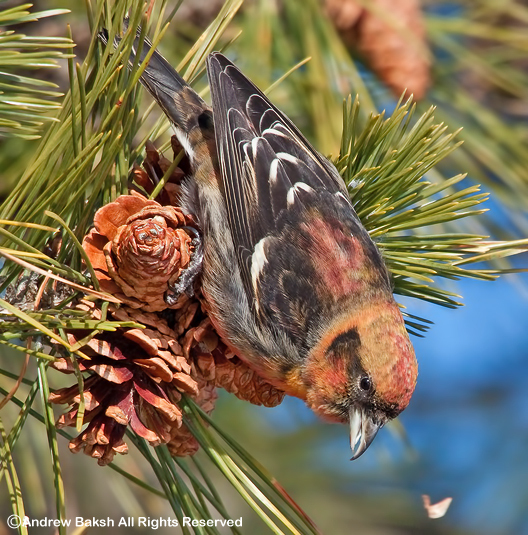 I began to think that I might have a shot when the reports of both species of Crossbills being seen at Seven President’s Park in Long Branch New Jersey, remained consistent for several weeks. It so happened that last Monday, while birding at Jones Beach on Long Island NY, I ran into a couple of fellow Queens birders, Corey from 10000birds and Seth Ausubel. I don’t remember exactly how Crossbills came up, but I do remember that when Seth mentioned that he was also thinking of paying a visit to 7 President’s Park, I immediately suggested we combined forces. We communicated during the week and planned our trip for Sunday. On Sunday, Seth, Isaac Grant and I drove out to 7 President’s Park. 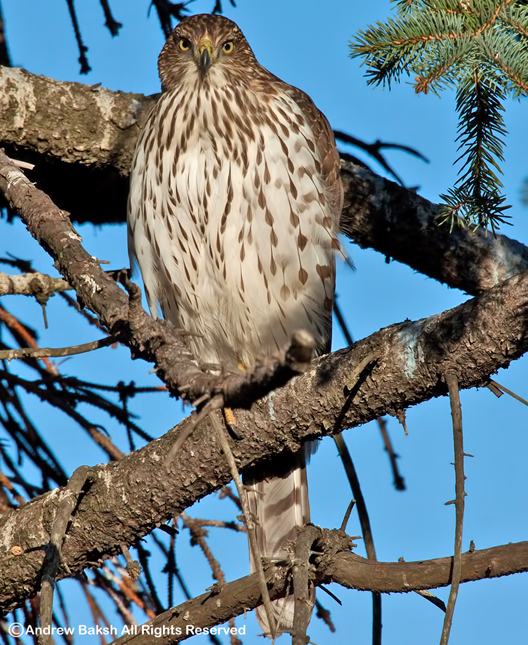 We arrived in good time and as soon as we pulled into the parking lot, we noticed birders near Japanese Black Pines. Their body language suggested that they had something good to look at. I wasted no time gathering gear and hurrying out of the car. As I exited the car, I heard and saw a few birds flying over. Studying Crossbills calls had paid off even though I winced at the realization that they were Red Crossbills (loxia curvirostra). Did I miss them...again was my thought? Glancing over to the group of birders, I saw that they were still focusing on whatever it was they had in the Pines, so I hurried over. 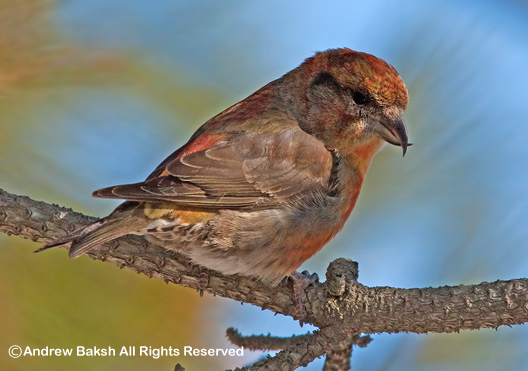 Digiscoped White-winged Crossbill Copyright Seth Ausubel All Rights Reserved. As soon as got to a vantage point where I could see what they were looking at I began scanning the tree. At first all I could make out were a few Red-breasted Nuthatches Sitta canadensis); then, I saw a bird pop out from behind a Pine Cone and then it was gone. A Crossbill no doubt from its bill, but which one? I moved up on the group trying to keep my eye on the location on where I had seen the Crossbill. A bird flew down to the ground and I keyed in on it. Crossbill with broad white wing bars and white tertial tips. Thundering Typhoons!!! 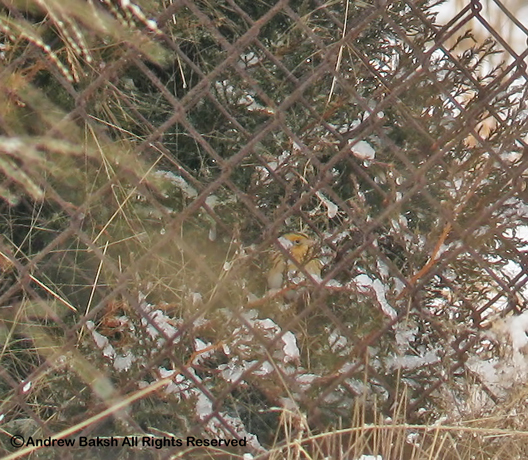 It was a White winged-crossbill (Loxia leucoptera)!!! I soaked in the bird, observing its cone crunching behavior then I switched modes and began taking photos. 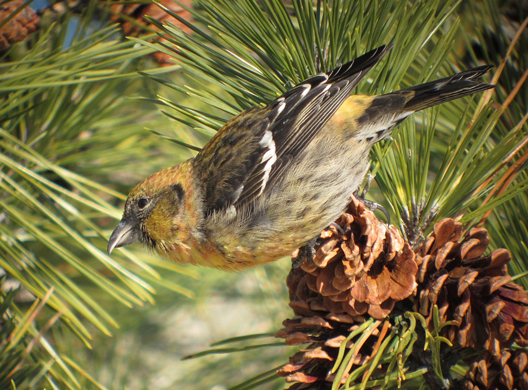 I had to document my first Crossbill. 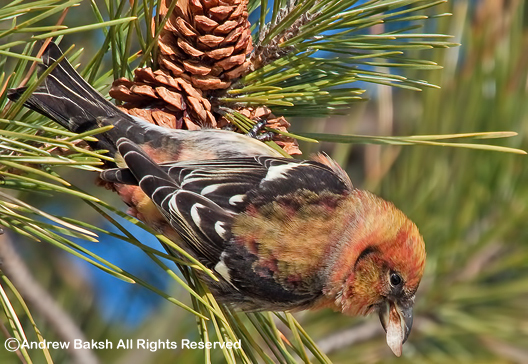 By then Isaac and Seth had joined me and they too got on the White-winged Crossbill (Loxia leucoptera). 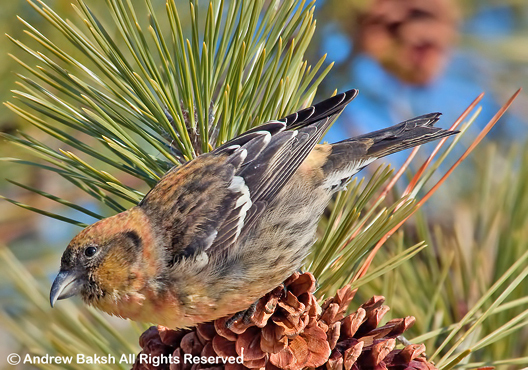 Soon, two additional White-winged Crossbills (Loxia leucoptera) appeared and we changed our viewing spot and got even better looks. Seth, had forgotten his camera that he uses to digiscope and was reluctant to leave and go back for it, but after some urging from me, he retrieved his camera from the car. He had no regrets, getting some outstanding digiscoping shots of the birds (some of which I have used with this post). After we had our fill, of White-winged Crossbills (Loxia leucoptera), we then split up and walked around looking for Red Crossbills (loxia curvirostra). 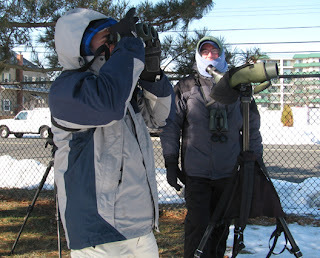 Isacc, found a couple of birders and photographers looking at a Red Crossbill (loxia curvirostra)on the snow and called Seth and I. However, by the time we got there the Crossbill was not visible. 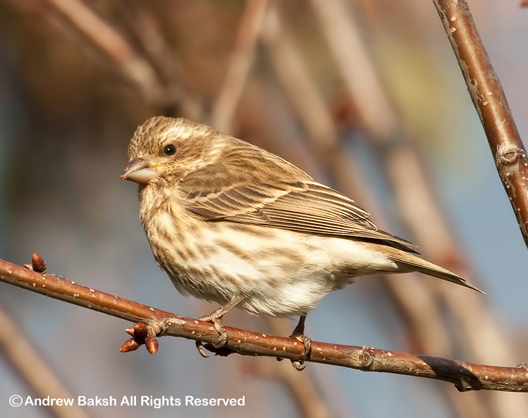 As I stood near the birders, I heard chirping that sounded unlike something I was familiar with. My first thought was Crossbill, but I could not pinpoint the location. 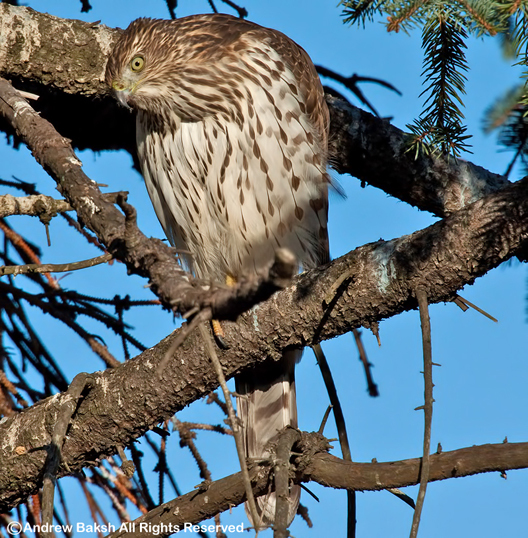 By then Isaac had maneuvered to the other side of the Pine Tree to get another angle and it paid off as he spotted a Red Crossbill (loxia curvirostra) munching on a Cone in the tree. Seth and I hurried around to Isaac’s side and got on the bird. A second Red Crossbill (loxia curvirostra) soon appeared and sat for a while chirping, confirming it was the sound I had heard before. 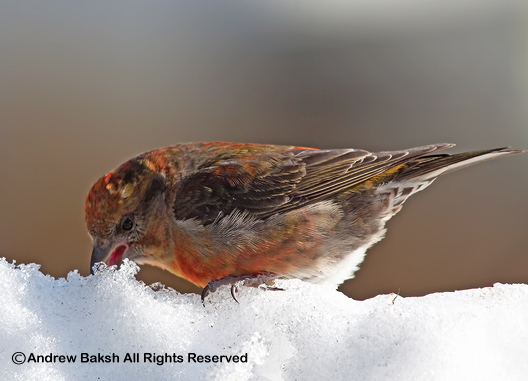 Red Crossbill (loxia curvirostra) munching on snow. 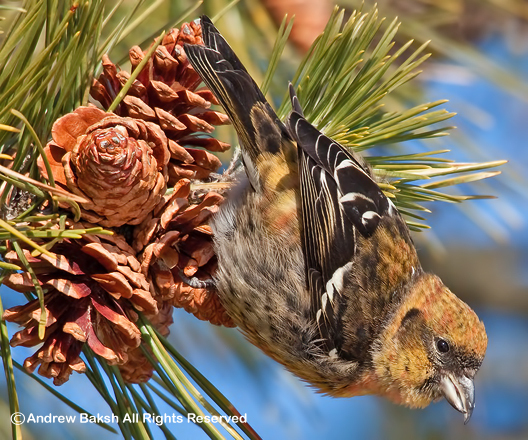 How sweet it was, getting both Crossbills on one trip. We made one other stop at Shark River Inlet where Isaac found a second winter Iceland Gull (Larus glaucoides) among the many Gulls that were near the jetties. We called it a day soon after as the cold was starting to take its toll on us. It was a satisfying day with great looks at 2 lifers. 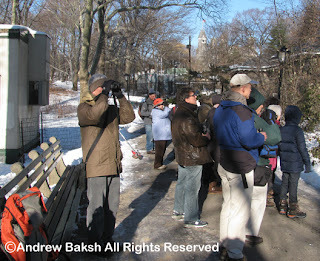 I did some Central Park birding this weekend and picked up a couple of good birds. 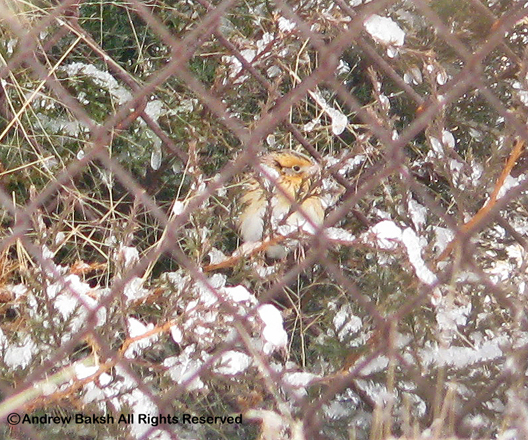 The first, was the continuing Varied Thrush that was found on November 28th, by Mike Bryant and Ray Slyper. I had twitched this bird on the day it was found (see my post here) and it was good to see it again. The second, was a Red-headed Woodpecker that continues to be seen well by many birders. The Varied Thrush can be seen around Maintenance Meadow near the restrooms. Often times there are birders looking for the bird, so keep an eye out and don't hesitate to ask. I did just that on Sunday when I saw Robert DeCandido, known in Central Park as "Birding Bob" and his band of birders who were observing the bird. Bob and his co-leader Deb Allen, were kind enough to get me on the bird and even invited me along with them, which I regrettably had to decline since I was pressed for time. Bob has weekend walks in Central Park with a loyal following. Check his website for dates and times. 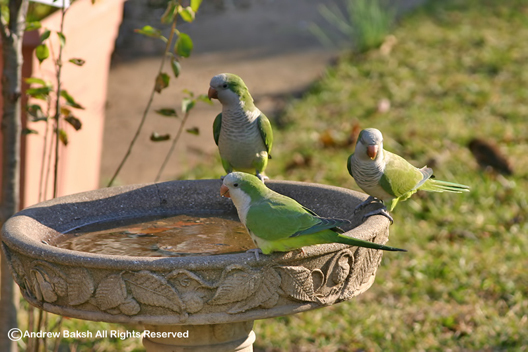 I hope you had some time to bird this past weekend as well. 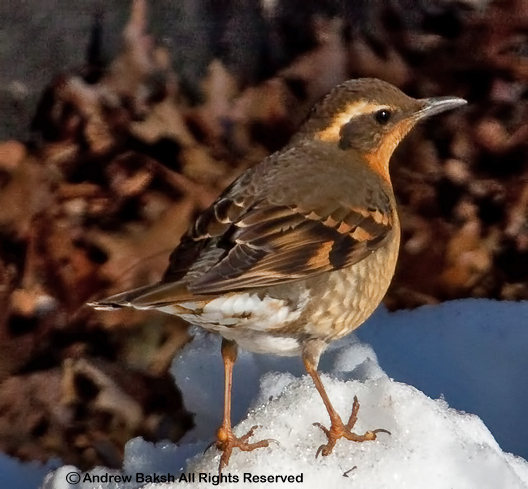 Varied Thrush in Central Park, NYC. 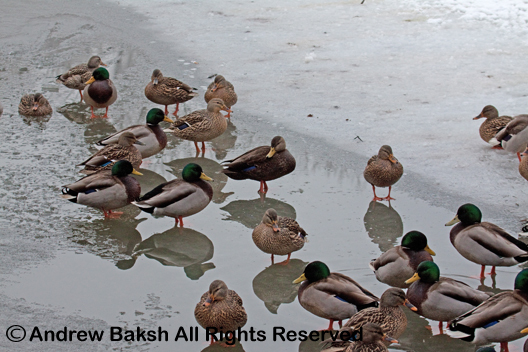 Can you find the American Black Ducks? On Saturday, our group met at the Van Courtlandt Park Nature Center across from the parade grounds and began our walk navigating the snow filled trails. It has not been easy going on our last few walks, especially with our older members and I want to remind those attending, to please wear good winter gear as the trails are snowed in and not very easy to manage. Despite the snow, we had a good time outdoors. Van Courtlandt Lake was pretty frozen over save for small sections and in these areas we picked up our usual waterfowl. This time around everyone got to see the American Coot as I picked it up hunkered down amidst a flock of Canada Geese. 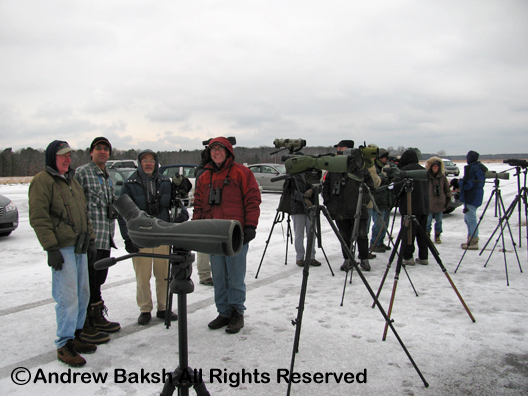 Having the scope was very useful as trying to pick up the bird with binoculars proved difficult for almost everyone who tried that approach. 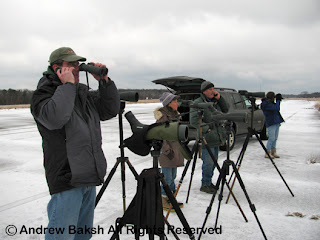 Other notables included Rusty Blackbirds and a Belted Kingfisher. 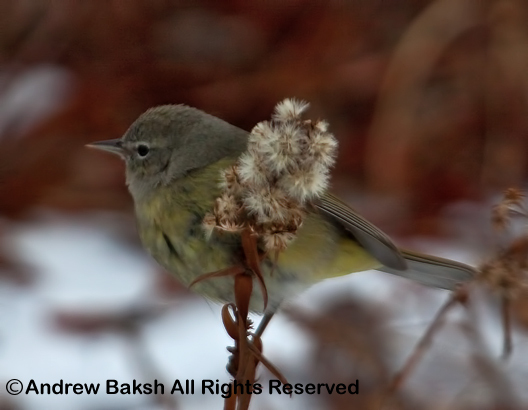 Today, in the waning late afternoon light I found an Orange-crowned Warbler (Oreothlypis celata) at Jamaica Bay Wildlife Refuge. It might just be the same bird I had in late December. I meant to post this before but kept putting it off. I used to buy suet blocks for the birds then experimented with making suet the long way by melting down beef fat and adding ingredients. I still make suet long way when I have the time, but came up with some quick recipes, which work as well. The calls going out to spread the word! I believe in being positive at all times and not dwelling on the negatives even if it means dipping on target birds. I was having a conversation of this nature today with Tom Burke on the runways of the Epcal Calverton Grasslands as we looked in vain for a Lark Sparrow. Sending Tom on his way with wishes of positive thinking, I was with Patricia Lindsay just seconds behind Tom's truck when her phone rang. It was Tom and he had called to inform us that he had just seen a LeConte's Sparrow. How Tom picked that bird up as he and Gail drove by the area where the bird was found? Well, only those who bird with Tom or seen him in action in the field would understand. The man is relentless!!! I call it, "The Burke Factor"! 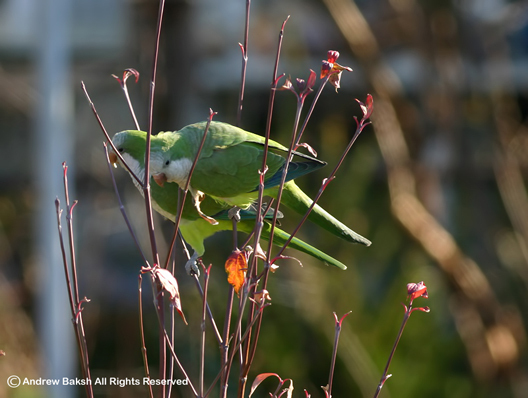 A life and state bird, thank you! 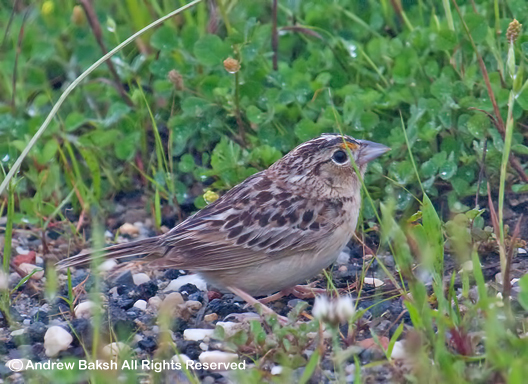 Here are some digiscoped shots of the LeConte's Sparrow and the gathering that followed.